One great way to understand a housing market is to live there for a really, really long time. Many of us on the team have lived in the region our entire lives – but that’s not the only reason we believe in giving back. Our company works with customers to help them find mortgages for every stage of life, but our mission behind that is all about building stronger families. We believe there’s more than one way to do that. It’s about more than just helping your family secure the right mortgage: the next step is doing anything we can to help make every family in the region – and our shared community – stronger. That’s why we pledge to donate $25 of every mortgage we finance to one of the following charitable projects. Our customers get to choose which one. 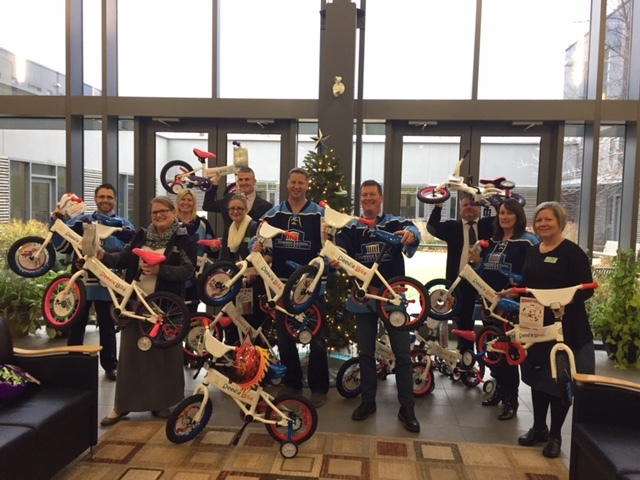 Bikes for Kids – This national project helps deserving children in our community by providing them with a free bicycle and helmet. Bullying Ends Here – Bigger Piggy Bank supports Cambridge-born Tad Milmine and his award-winning national programs to teach children and adults about the dangers of bullying. If you are a BiggerPiggyBank.com customer who recently signed a mortgage with our team, you can choose one of the charitable options and then complete and submit the form below to direct your donation. I'm an awesome human being! What is the answer to this math question?